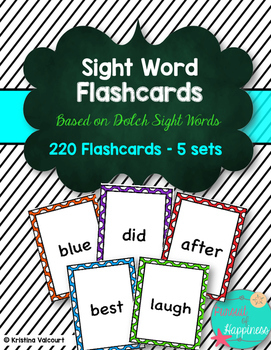 This purchase includes 5 colored flash cards sets based on the Dolch sight words list for Pre-Premier, Premier, 1st Grade, 2nd Grade, 3rd Grade! 220 Flash cards total! Whoa!!! 72 pages! Great for incorporating phonics into your classroom. 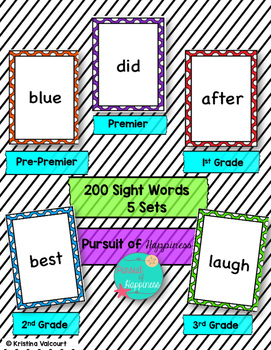 This product includes ALL 5 sets of the sight words, which is helpful to differentiate for your students for their various needs. Plus, if you switch grades you have access to all sets. 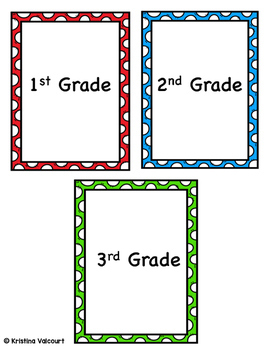 -Use cardstock and laminate for sturdier cards. -If you are looking to only print 1 set (ex. 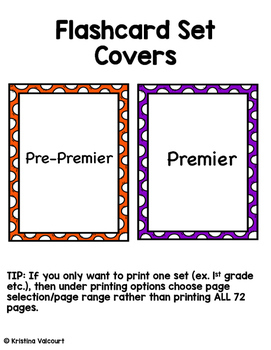 2nd Grade), under printing options choose page range selection rather than print all 72 pages. Thank you in advance for purchasing and leaving feedback! Ps. When you leave feedback, it gives you TPT credits for future use!